Canada Rejects Flawed and One-Sided “Piracy” Claims From US Govt. 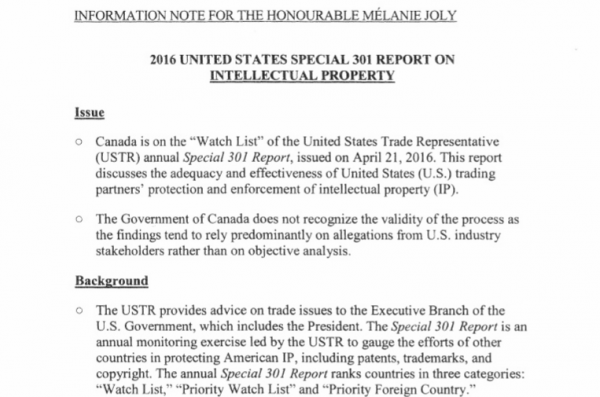 As usual, Canada is one of the prospective "watch list" candidates for the US Trade Representative's annual list of countries with 'failing' intellectiual property protections. However, the Canadian Government has had enough of the allegations, describing the process as flawed as it's mainly driven by one-sided copyright industry claims. Every year the Office of the US Trade Representative (USTR) releases an updated version of its Special 301 Report, calling out other nations for failing to live up to U.S. IP enforcement standards.